We manufacture and stock thousands of items but often designers and educators want a special finishing touch and added inspiration for their facility. 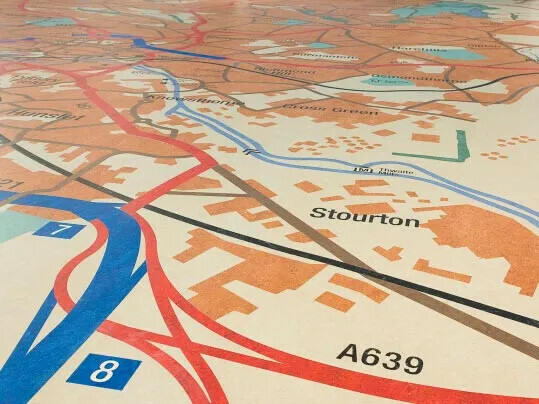 Whether a logo, unique colour matching, or something fun and involving such as numbers or imagery on the floor, Forbo can help. 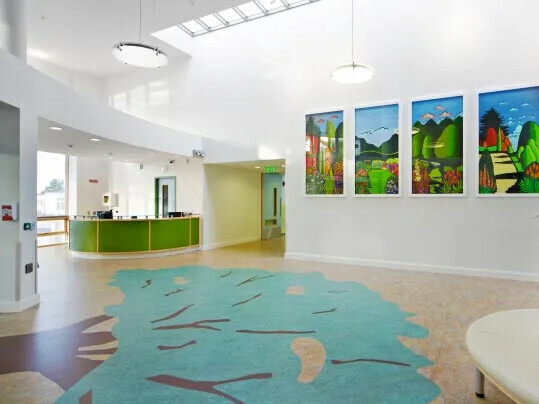 With over 500 designs, Flotex Vision will offer an infinite number of options ranging from abstracts with an intricate colour spectrum to realistic images of natural materials such as grass, wood and water. 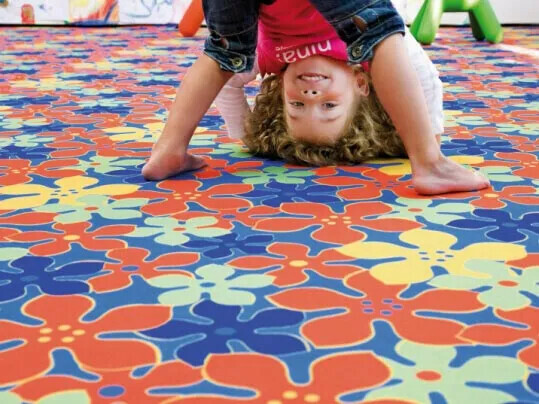 Flotex is the ideal blank canvas for creating concepts with the wow factor - you can create something bespoke from only 60m2. 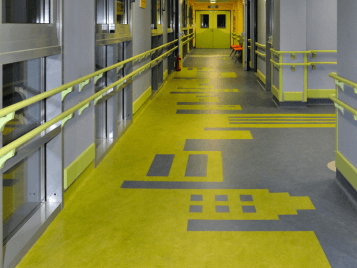 Whether it is a thematic floor, a work of art or a school crest, the possibilities are limitless. When it comes to reflecting the personality of a school, college or university, entrance areas are the ideal opportunity to make a statement. Logos and crests or the school colours can be used to bring an entrance to life and create a lasting impression on pupils, staff and visitors. Suitable for heavy traffic areas and offering the maximum functional performance of an entrance system. 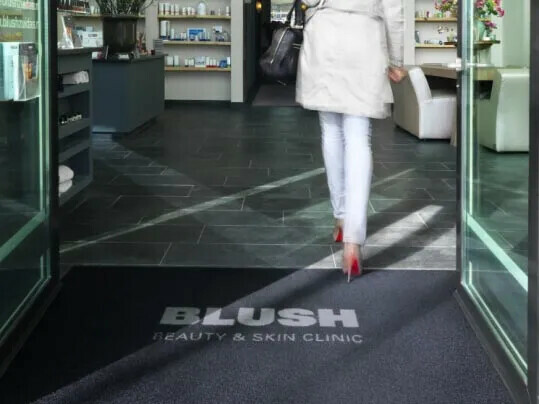 Coral logo (inset or printed) can help to create bright and welcoming entrance areas to your vision.